What a rush!! – Caught my first honey bee swarm today!! | Living the Good Life in Gaston County! As many of you know, I started keeping honey bees last year. 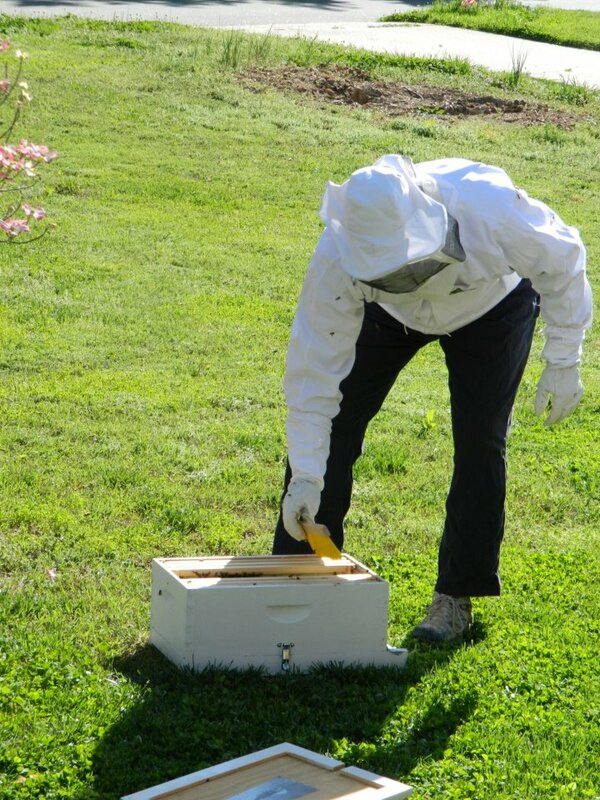 Had an okay year but no honey…..was hoping to have honey this year so we decided to add 4 hives to our bee yard. 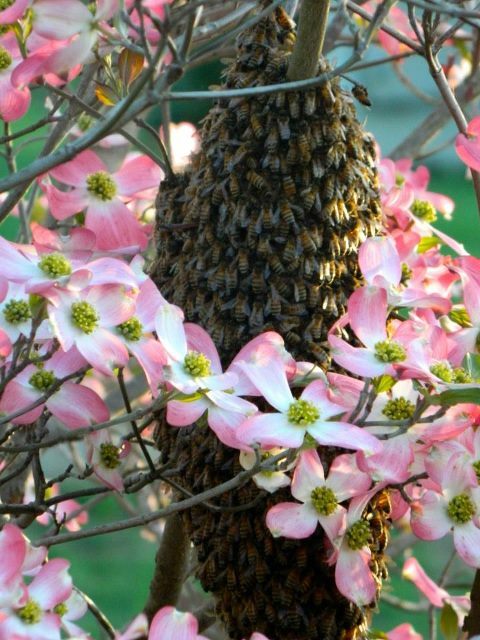 Today…..My friend Chris posted on facebook that he had a bee swarm in a dogwood tree in his front yard. He was looking for someone to take the bees from his front yard and I was the man for this task today!! I ran home, picked up my equipment, an empty box, and off I went with the help of my sons. I have to admit that I was really not sure what I was doing. I have read a lot about catching swarms but have never seen it done nor have I done it. I was a little nervous but once I was there and looking at the bees in the trees the excitement hit. I sprayed the bees with a little sugar water then Ben and I went to work getting the bees into the hive box. What a rush shaking and brushing several hundred bees off a tree branch……such simple pleasures to make my day. Wow! Can’t beat free bees! I hope that they start producing some honey for you! 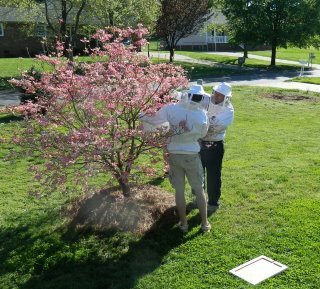 I had a one box setup in my back yard for 2 years but when my son started walking I gave the bees and the box to a friend of mine! Very exciting. I share your passion for the goodlife and have just started a new blog called Talking With Bees which is about how I am “regaining my sanity through beekeeping”. I will let you know when I catch a swarm. Probably next year! deadgum that beehaus is expensive. I like it but will not pay 800.00 for it not including shipping. have you found and less pricey one? the beehaus is expensive…I use a standard wooden box hive. This year I started building my own supers and just buy the frames and foundation.